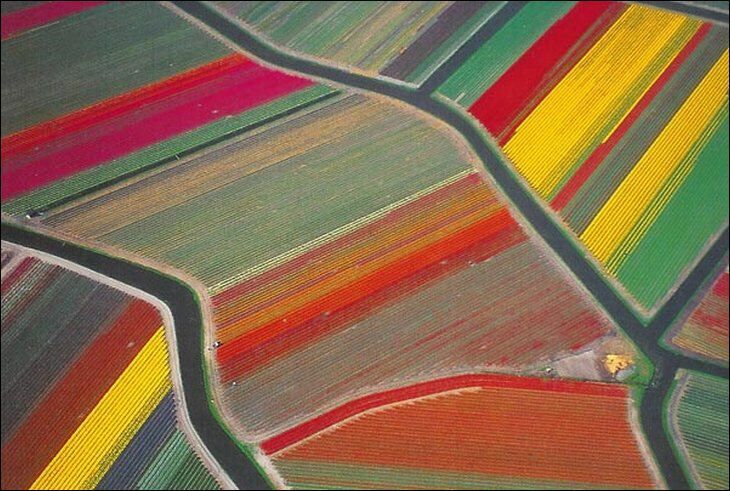 At first glance, it looks like a giant child armed with a box of crayons has been set loose upon the landscape. Yet far from being a child's sketchbook, this is, in fact, the northern Netherlands in the middle of tulip season. 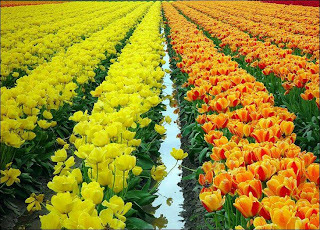 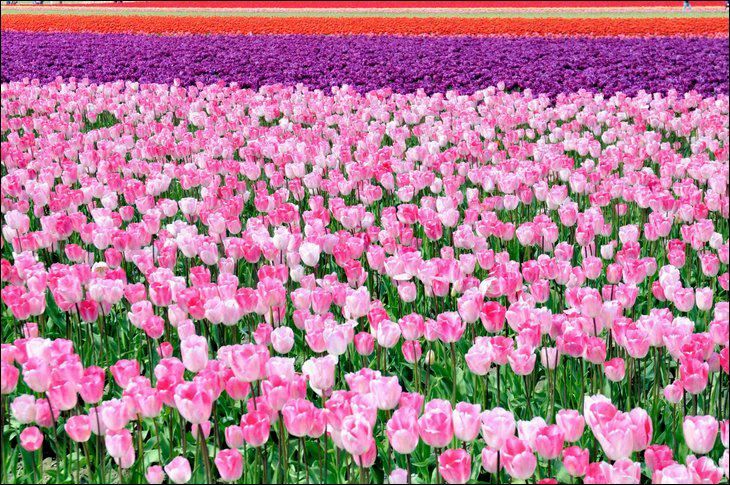 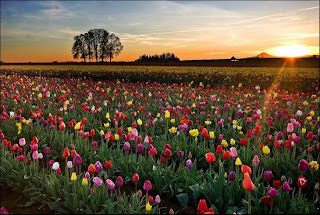 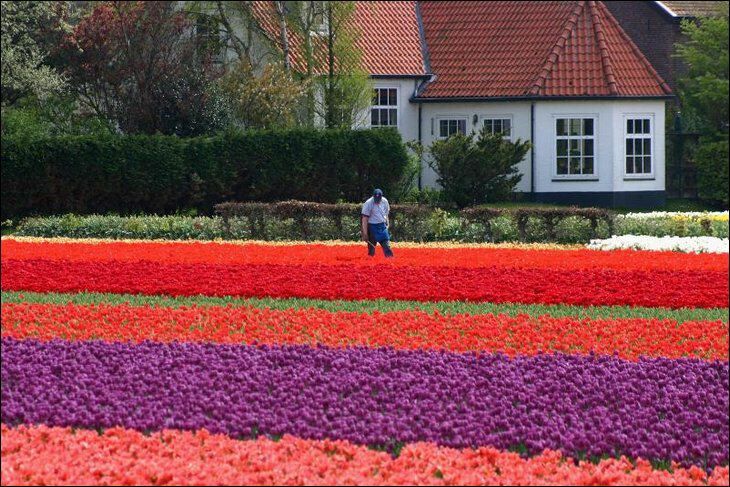 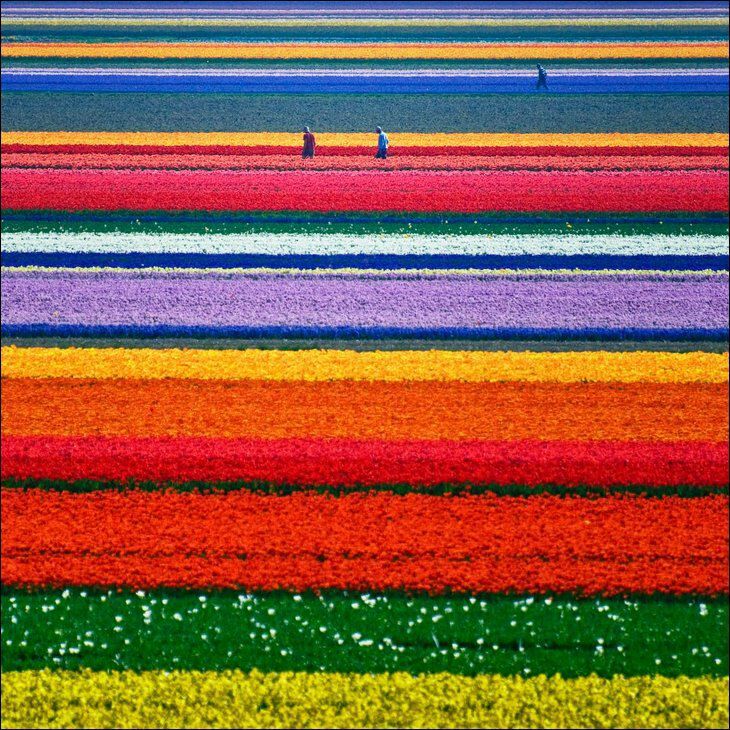 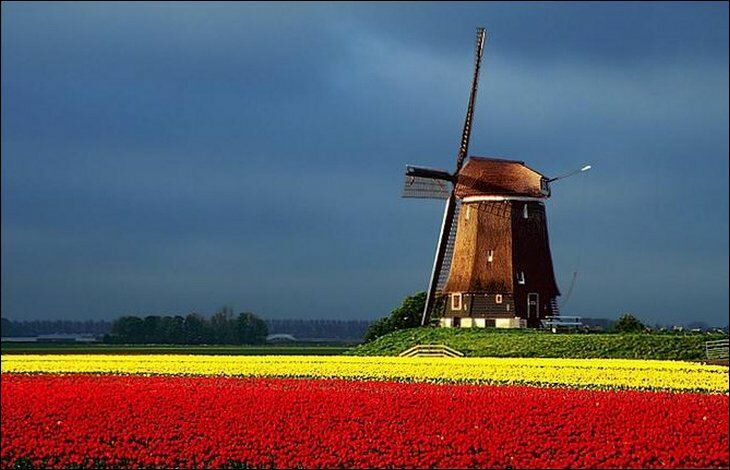 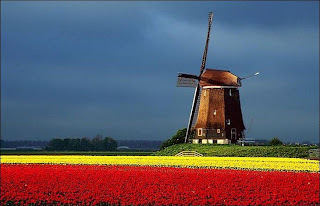 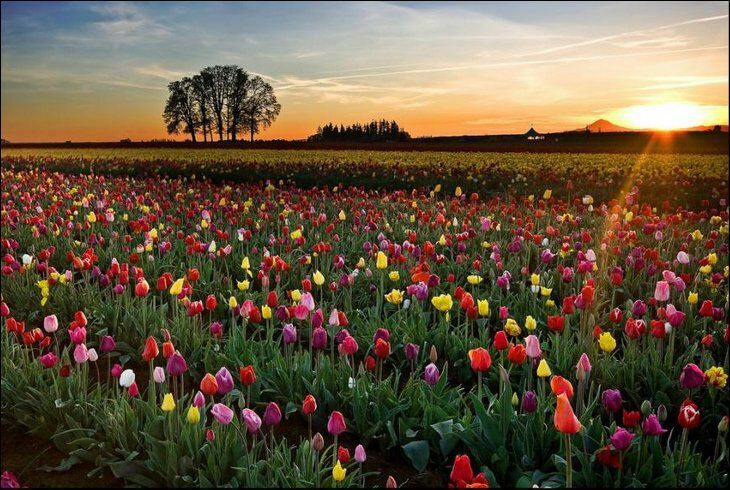 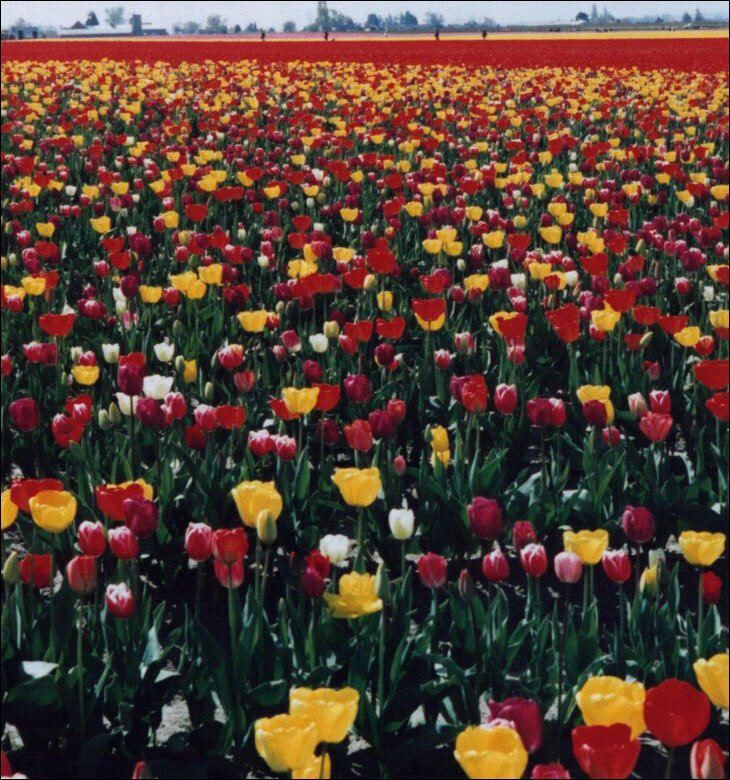 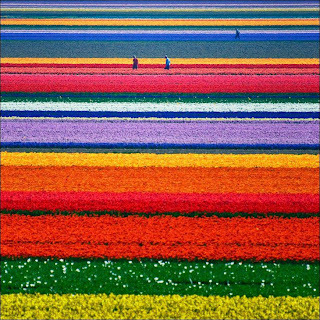 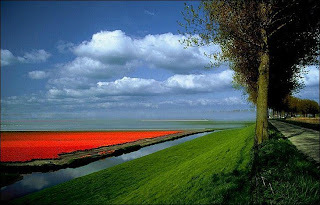 The Dutch landscape in May is a kaleidoscope of color as the tulips burst into life. 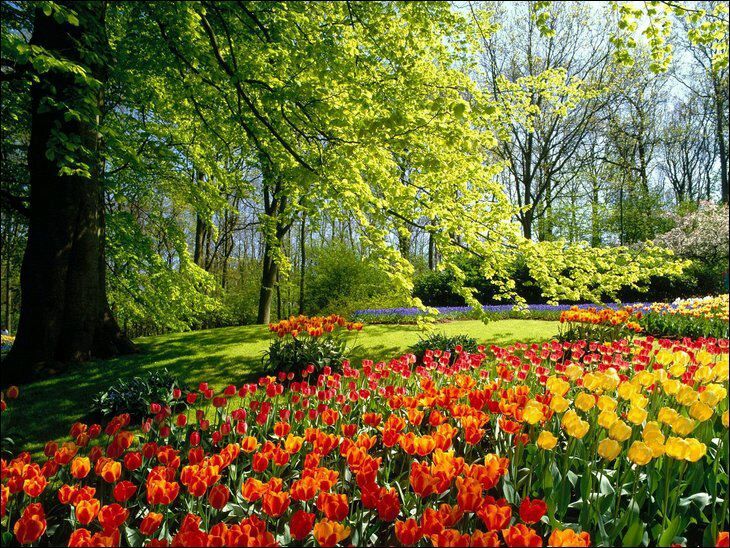 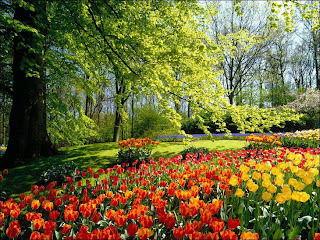 The bulbs are planted in late October and early November. 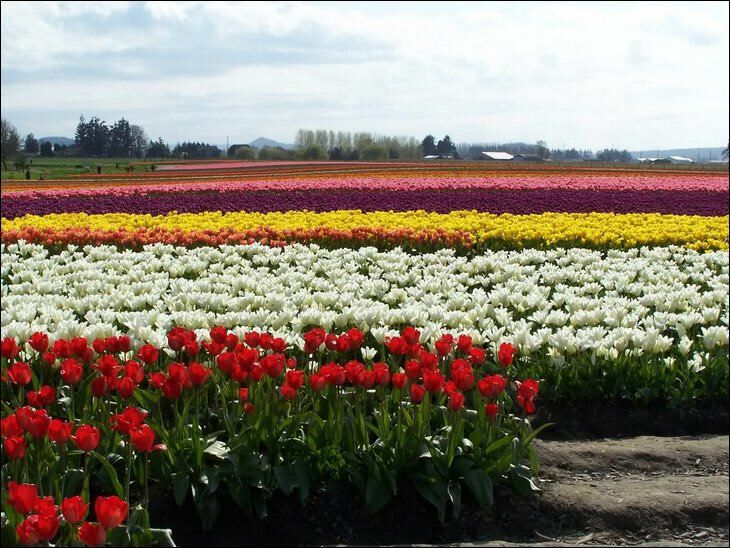 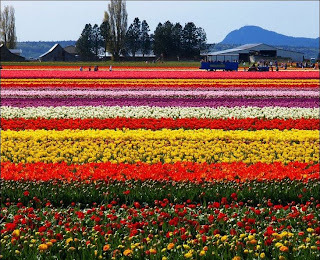 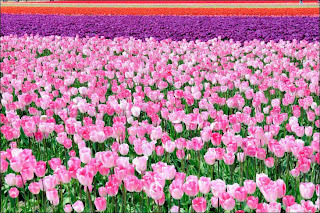 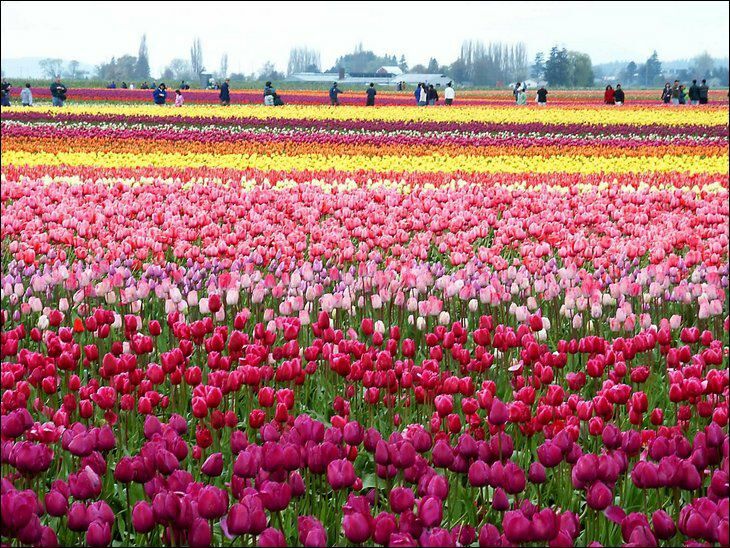 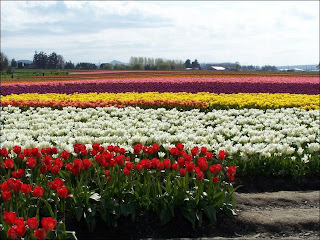 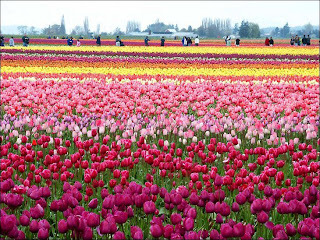 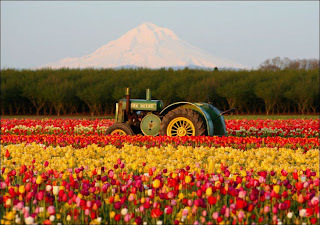 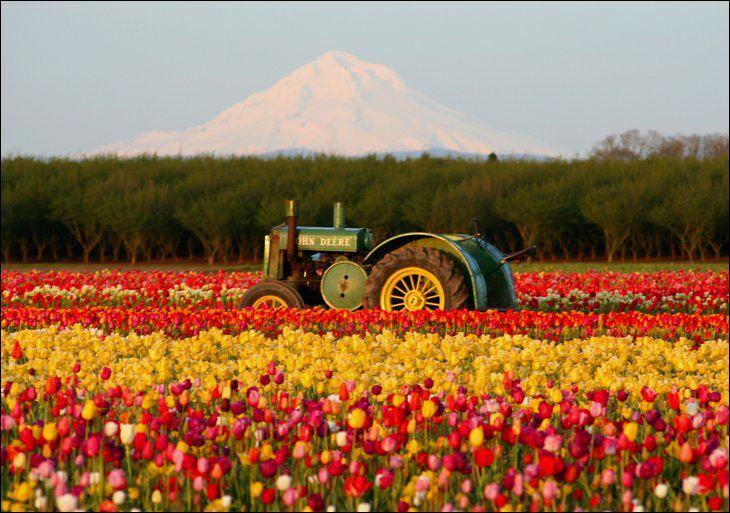 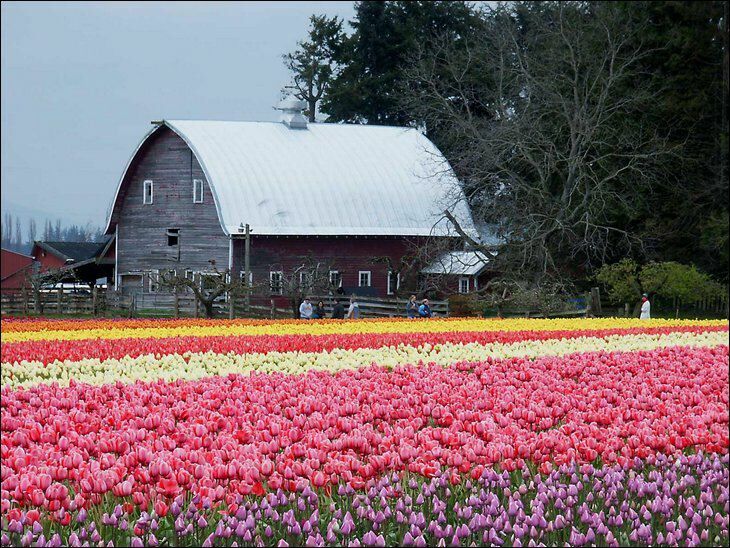 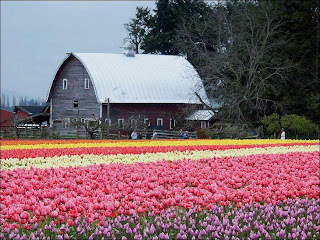 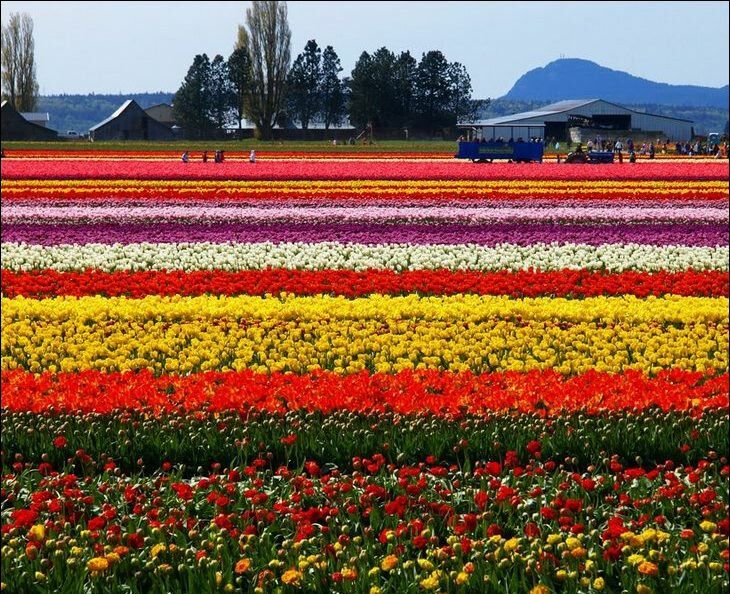 More than three billion tulips are grown each year and two-thirds of the vibrant blooms are exported, mostly to the U.S. and Germany .